To Make a Payment / Donation click the PayPal button above :). Perkins Phaser 110T Engine available, low mileage. all in A4 Renault Dodge Hard Folders. Email dodge50@mail.com if you need more info or want one. To anyone selling their vehicle...Warning!! 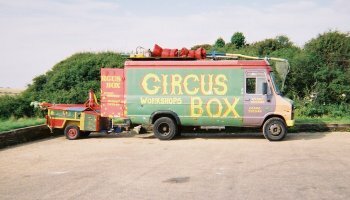 Please be aware that people who use Dodge 50's for Banger Racing are telling people lies about wanting the vehicles for campers or work vehicles when in reality they are not being truthfull. If you can check out their facebook profiles and see any banger racing pics or friends with banger racing profile pics, beware. So if you are selling or know of someone who is, give them this warning as the more scrapped 50's there are, the less there are for the future. DISINFORMATION: This web site has been knocked together with 2 bricks and a rubber chicken for your delight and I hope you all enjoy the fine discussions we have on the wonderful dodge50 series of vehicles, all information is either gleened from the official 50 series workshop manuals OR posted by members of the community. DATINFORMATION: dodge50.co.uk takes no responsibility for any mistakes or advice given, it's up to you if you take it or not, remember, All material is copyright dodge50.co.uk ~ 2002~2019 unless it's someone else's and it has been begged, borrowed or made up.